Lakewood Hole 1: The opening drive is pretty simple, so the player can really rip the driver to try to give a good shot to start with a low score on this par five. 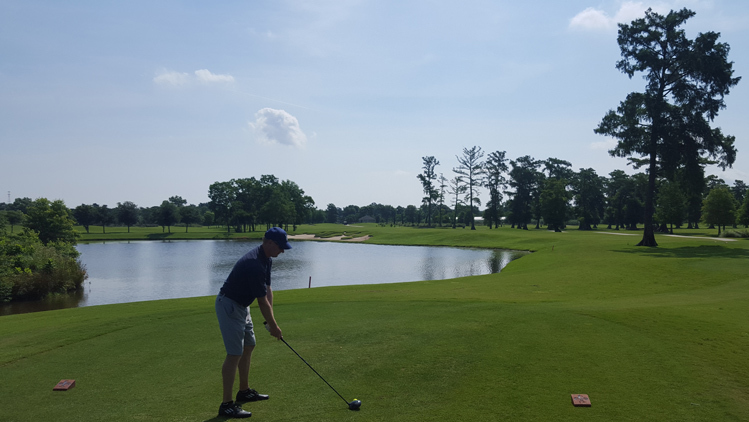 However, water is in play on the second shot and the green is guarded by a bunker to the left and a slope that pushes balls right of the green towards bushes. 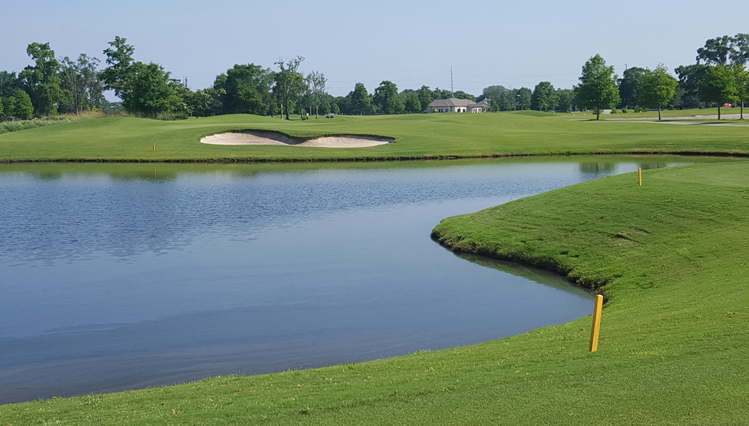 Lakewood Hole 3: This is a short par three to an elevated green, over water, with a large bunker in front. Lakewood Hole 5: This relatively short par four has bunkers shaped like flames (the owners are associated with firefighters) and a couple others along the way to nab any errant shots. Lakewood Hole 7: There is a large waste area right of this fairway with bushes, so staying left is a better idea. However, the approach from the left is more over the water and green-side bunker too. Lakewood Hole 9: The closing hole to the front nine is pretty nasty as it is long and the second shot has to contend with the water right and long. The green is quite large and back pin placements are tough. Lakewood Hole 12: This medium length par four has water right off the tee. The drive looks more tight than it is though as there is actually plenty of room left and there is not much trouble over there. However, the green does have a deep bunker short/right, so hitting a longer drive will help as the green is also not large. Lakewood Hole 13: This par five has a tough drive that must find its way between lakes on either side. From there it gets much easier until the green itself, which has an uncharacteristically heavy amount of slope. Lakewood Hole 17: Almost an island hole, the only dry miss is if one goes over the green, which is usually not a planned activity in golf. Lakewood Hole 18: The final drive is over more "fire" bunkers but is pretty wide open. 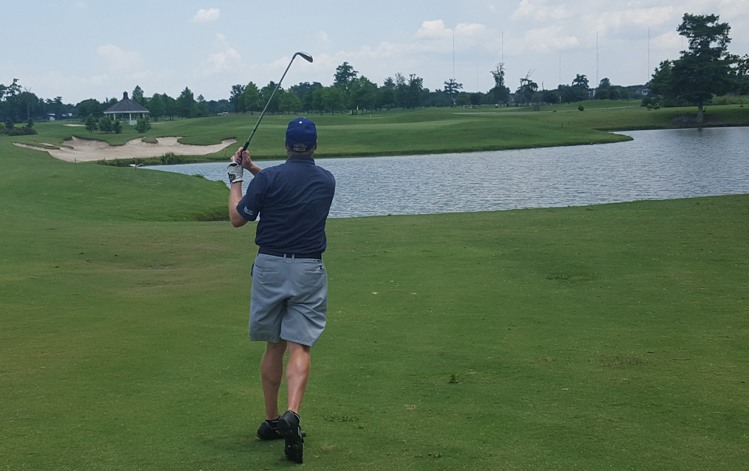 The second shot on this long par four does have to be hit over more of the same bunkers and water to boot. More USA Golf Course Reviews.